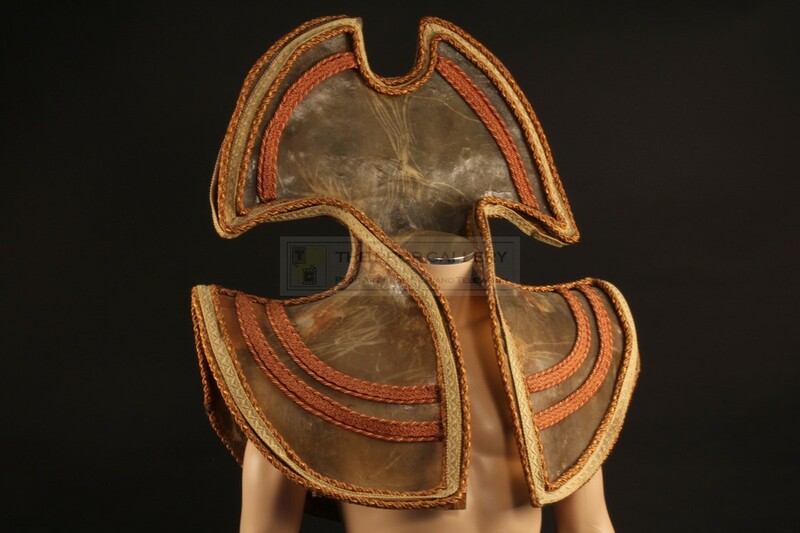 An original Time Lord collar used in the production of the long running BBC science fiction television series Doctor Who. 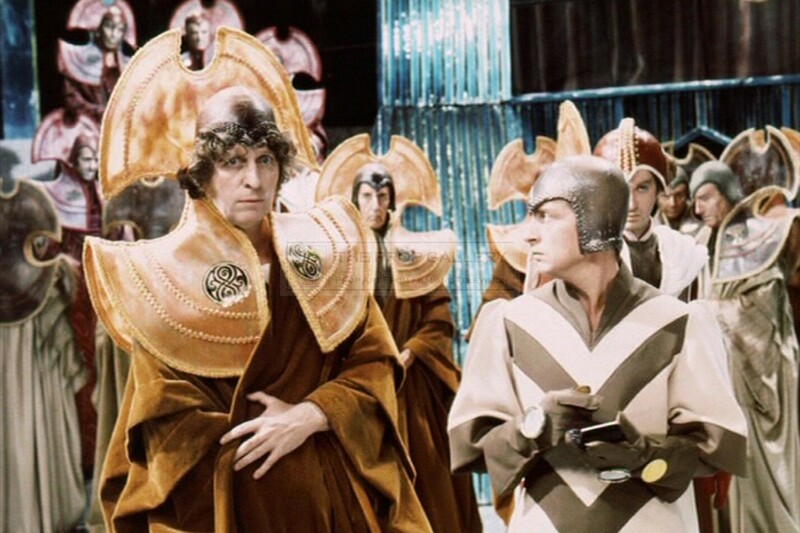 From the 1976 serial The Deadly Assassin starring Tom Baker as The Doctor is this original Time Lord collar as visioned by noted costume designer James Acheson and created by freelance effects artist Allister Bowtell who had previously been responsible for a number of significant props for the series. 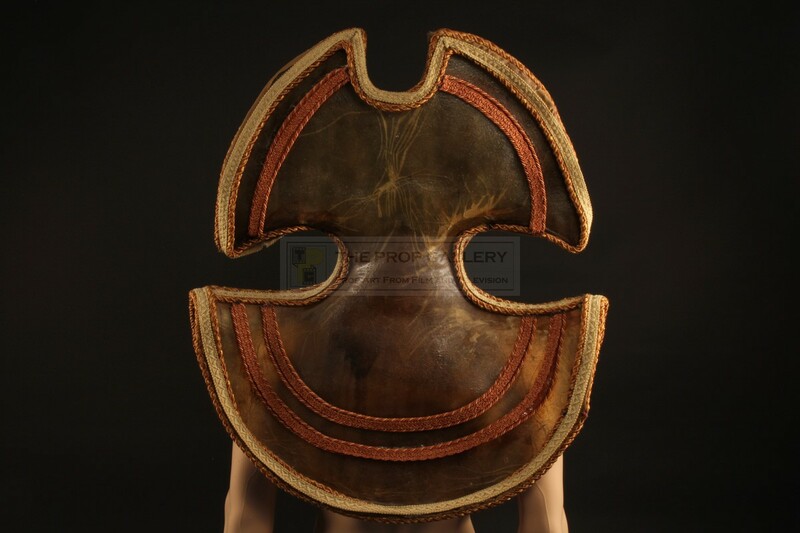 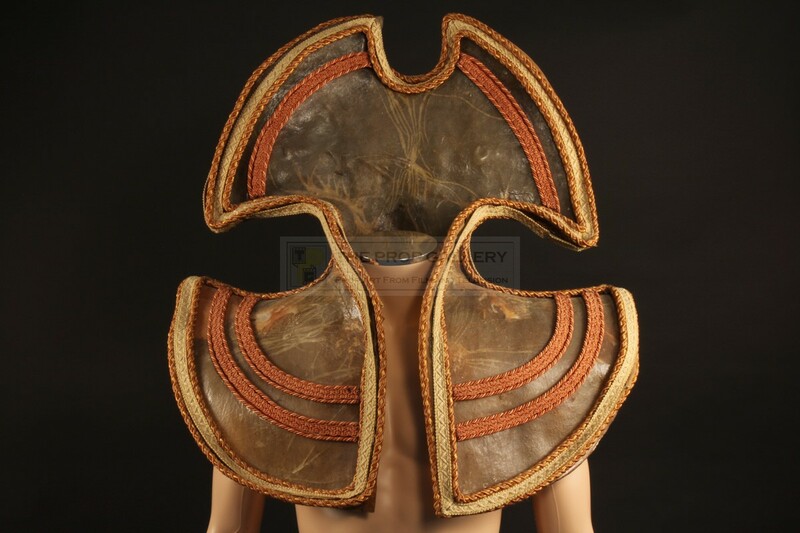 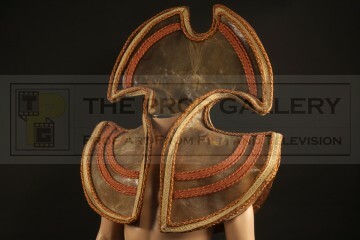 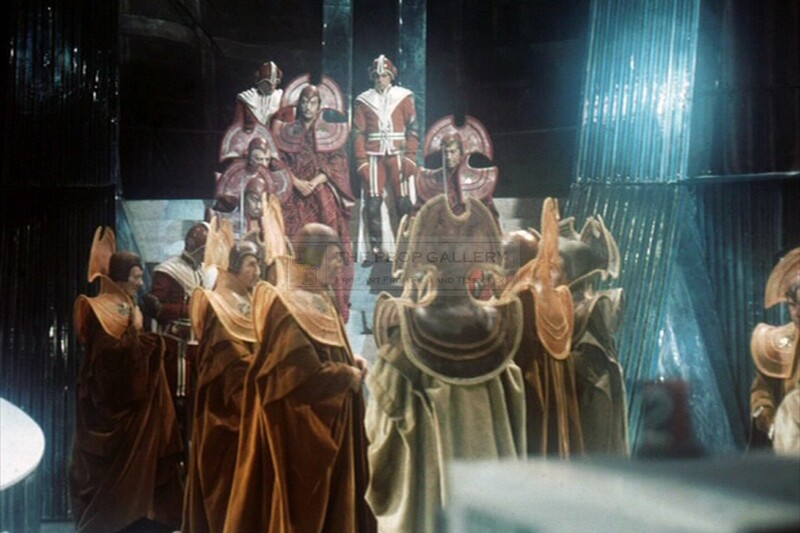 The collar is constructed from a low fibre content fibreglass adorned with braiding and is designed to sit atop the shoulders, the unique construction of each collar makes it possible to screen match this example to The Deadly Assassin and the vast majority would go on to be redressed and reused in subsequent serials of the show including The Invasion of Time and beyond. 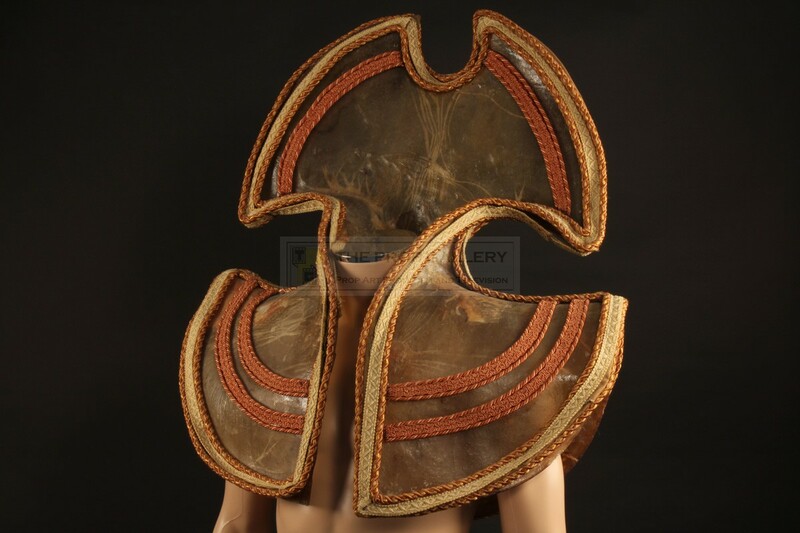 The collar stands an impressive 30" high and measures 26" across the shoulders, it remains in good screen used condition lacking the Rassilon seals with a repair to one side, the braiding now present on the collar is entirely replacement, this not detracting from what is an iconic piece which will forever remain synonymous with the series. 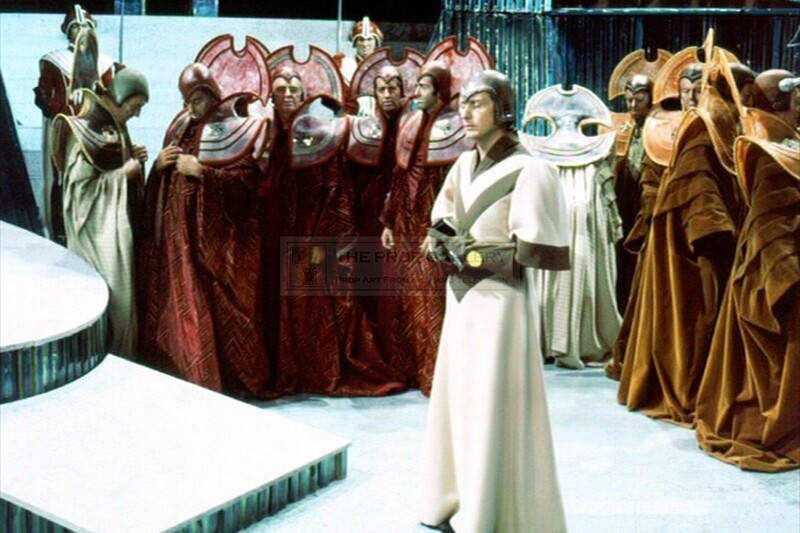 This represents an instantly recognisable and highly desirable artefact from this cult science fiction series.